After receiving his education and medical training, Dr. Eun spent three years as a member of the National Health Service Corps in Alabama. In Sacramento, California he opened a private practice while also serving as assistant clinical professor of obstetrics and gynecology in the School of Medicine at University of California, Davis. He then relocated to Washington States in 1994 and lives and practices there now. Dr. Eun has special expertise in advanced minimally invasive gynecologic procedures. Dr. Eun attended Pacific Union College and graduated with a Bachelor of Science degree in Biochemistry. He then went to medical school at Loma Linda University School of Medicine, Loma Linda, California. He did his residency at Loma Linda University Medical Center. 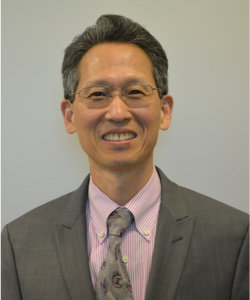 Dr. Eun is board certified by the American Board of Obstetrics & Gynecology.